I had the pleasure of interviewing Tori Gerbig, co-founder and CEO of Pink Lily, one of the fastest growing online fashion retailers in America. Pink Lily ships more than 1,000 orders each day and has delivered more than 1.5 million products to customers since the shop opened to customers in 2014. 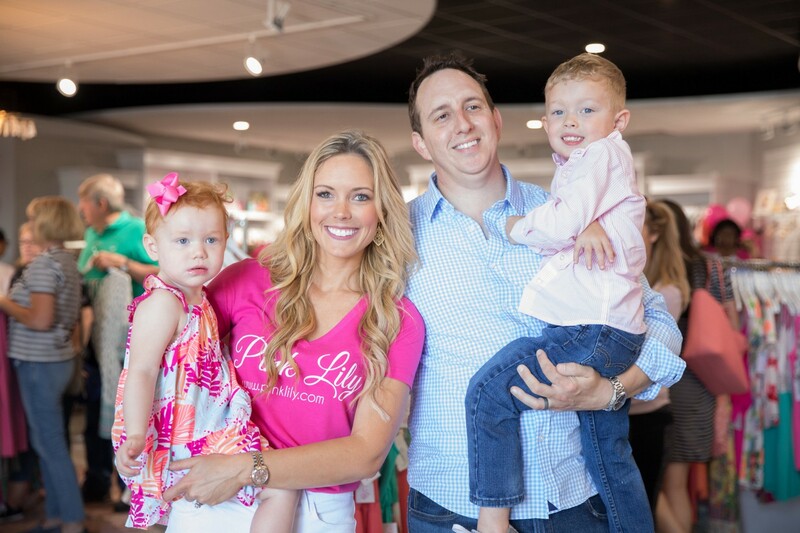 In four short years, without taking on any outside funding, Pink Lily has generated more than $50 million in sales, employees nearly 50 full-time staff, and is in the process of expanding into a 50,000 square foot warehouse. Prior to starting Pink Lily I worked in insurance sales and my previous background actually did not include experience in retail or fashion, but I always knew I wanted to be an entrepreneur. Pink Lily was born from an eBay shop that was more like a side hobby than a revenue stream, eventually became a maternity leave side project and in 2014 together with my co-founder and husband Chris, we launched the company’s first official website. Without funding or assurances of what was ahead, we took the risk and to stay motivated we set what we thought was am ambitious revenue goal for year one — $50,000. We had no idea we’d close that year of business at more than $4 million. Fast forward four years to today and Pink Lily continues to grow at rapid speed. This year we surpassed $50 million in sales and are in the process of more than doubling our work force. I always had high aspirations for Pink Lily but there are times when I still feel like I should pinch myself! I think what’s most interesting about being an entrepreneur is how empowered you are to create the workspace you desire and how fast it can change. My day to day work now includes shopping for clothes (something I still can’t believe I get paid to do), which is just such a far cry from the work I was doing in insurance just five years ago. I think it’s important that in large teams, each individual has a clear role. There also needs to be strong leadership to lead the team in effectively collaborating together. If people have a clear individual focus and understand how that supports others on their team in achieving mutual goals, everyone will see greater success. Right now, all of Pink Lily’s teams are in the United States, but we absolutely have partners supporting our efforts based across various geographical locations. It’s also not uncommon for me to spend time traveling to trade shows or for photoshoots, entailing time out of the office while simultaneously managing teams remotely. What I’ve found to be most effective is ensuring I’m always accessible to my teams, even when I’m on the go. This means coordinating a lot of regular touch base calls and keeping an eye on my email and phone so that I don’t miss anything. Successful management always starts with good communication. Listen to your employees. Don’t think you know it all. Always be open to their input. The best employees always need something new to strive for, while simultaneously feeling recognized for the good work they’re doing. I make a point to acknowledge and celebrate team member’s successes while helping them set goals to continually push for. I’m a firm believer that once you meet one goal, you should always reach for the next. But to stay motivated, each person must feel like they’re benefiting from that shared success. Lead by example. I work to convey a can do attitude at the office. Whether it’s showing kindness, being respectful of people’s time or staying positive during challenging projects, a true leader will lead by example. Everyone should leave their ego at the door. I’ve always said, I think hard work is the only thing that puts everyone on an even playing field in the workforce. It’s something we’re all capable of, no matter where we came from and what school we sent to. Incentivize. A great way to inspire teams is to let them know they will share in the success of the business. At Pink Lily we have all kinds of employee incentives. Listen. Sometimes as a leader, it’s easy to get caught up in presenting ideas. It’s equally important to ask questions and listen to what your team has to say. Bond. At Pink Lily we host numerous team bonding events throughout the year. Bonding outside of the workspace on a personal level helps people better understand each other and collaborate in the workplace. Celebrate. When wins are won, they should be celebrated. It’s important to recognize individual team member’s contributions to the overall team’s success. What if we were all to do just one thing to help someone else reach their goal? Steve Jobs once said, “Your time is limited, so don’t waste it living someone else’s life.” I always knew I wanted to be an entrepreneur and run my own business. True happiness in work is following your own dream.